A guide to the top rides in Orlando! Avatar Flight of Passage is without a doubt, one of the best rides in Orlando! This incredible attraction lets you fly over the breath-taking world of Pandora on the back of an Avatar in an exciting adventure you’ll never forget. There are amazing sights, sounds and smells along the way, so be sure to look out for all of the surprises. A visit to Orlando wouldn’t be complete until you’ve tried this amazing ride, so make sure it’s at the very top of your list. We’d strongly recommend using Disney’s FastPass+ for this ride, to avoid waiting in line. If you’re a Harry Potter fan, you’ll absolutely love this ride. 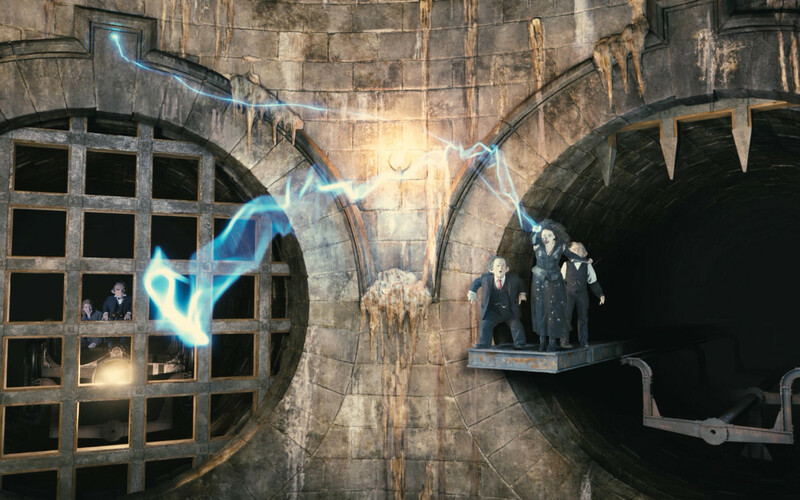 You’ll get to step inside the famous Gringotts Bank, before following in the footsteps of Harry, Ron and Hermione as you venture deep underground into the vaults. Expect to come face to face with some frightening creatures, as well as the evil Bellatrix Lestrange and Lord Voldemort himself! 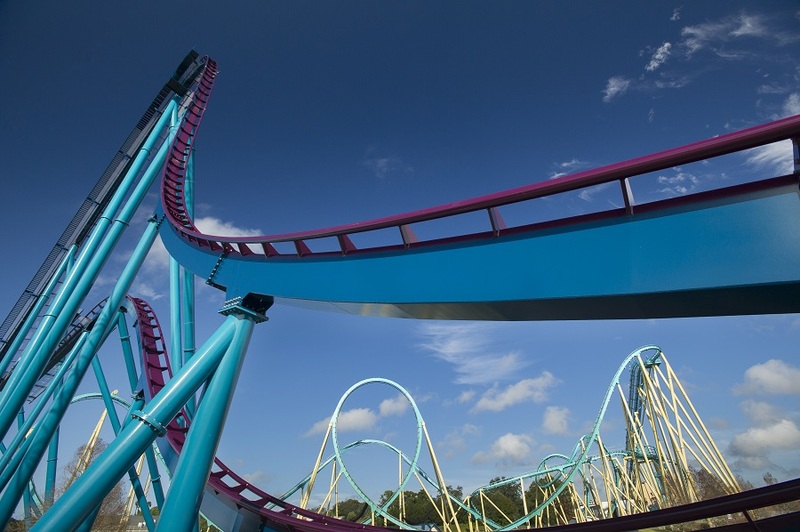 If you’re a serious thrill seeker, Mako is a must-try. 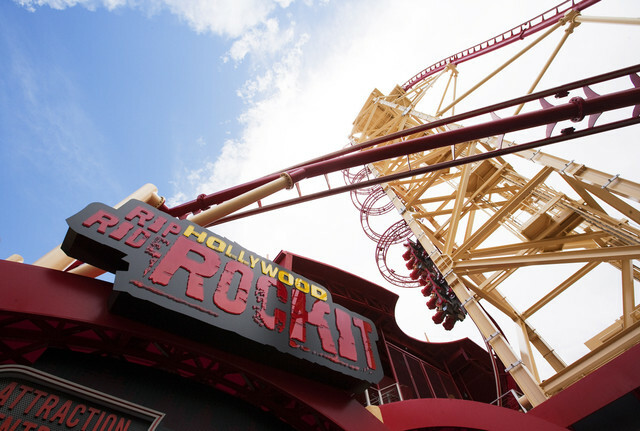 This record-breaking ride is the tallest, fastest and longest roller coaster in Orlando, boasting a 200-foot drop and speeds of up to 73mph! It’s absolutely terrifying but the kind of terrifying that makes you want to ride it over and over again. Don’t miss it! This iconic Disney ride has to be one of the most famous rides in the world. That’s why you need to try it when you visit. 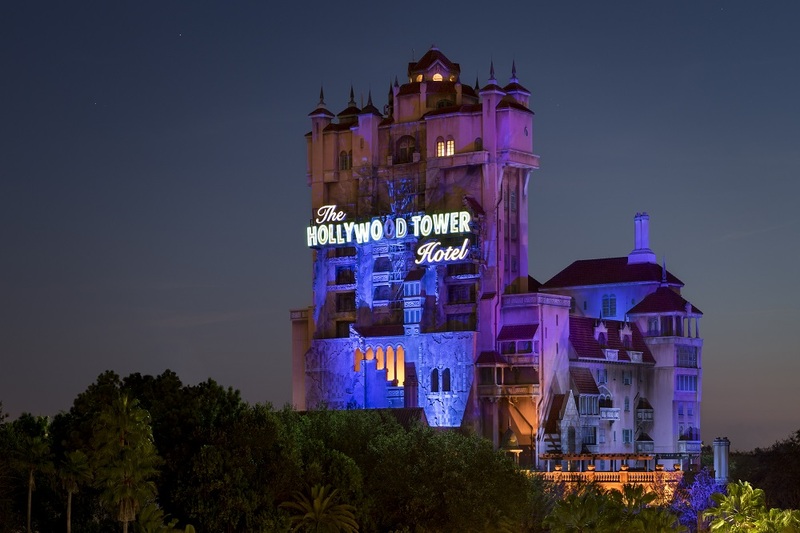 When you step inside the eerie Hollywood Tower Hotel, you’ll instantly realise that this isn’t a normal hotel- it’s haunted! Climb into the rickety lift and prepare to ascend to the top of the hotel before being plunged into total darkness and plummeting down to the bottom. It’s still not over though! You’ll race back up and down again when you least expect it. This ‘incredible’ roller coaster is one of the best rides in Orlando and a firm favourite with park guests. If the exhilarating 150-foot launch wasn’t scary enough, you’ll have to face a total of 7 inversions and speeds of 67mph! 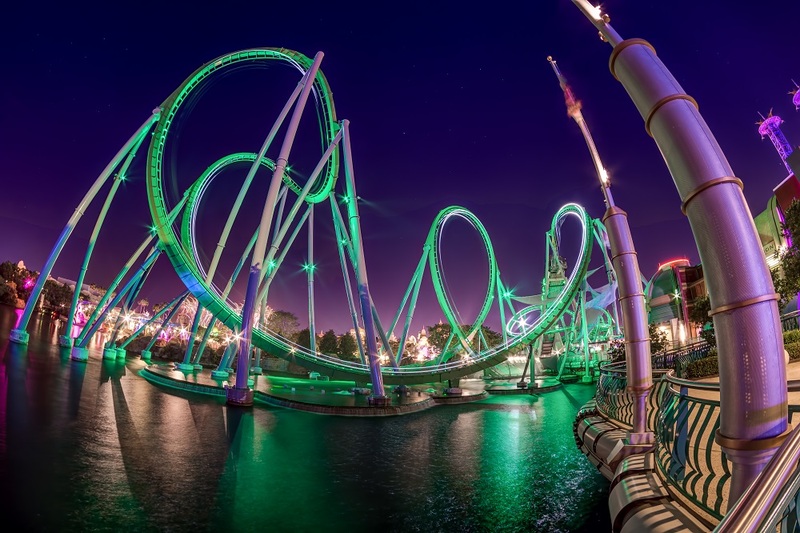 Are you brave enough to take on the Hulk? This one is definitely not for the faint-hearted! 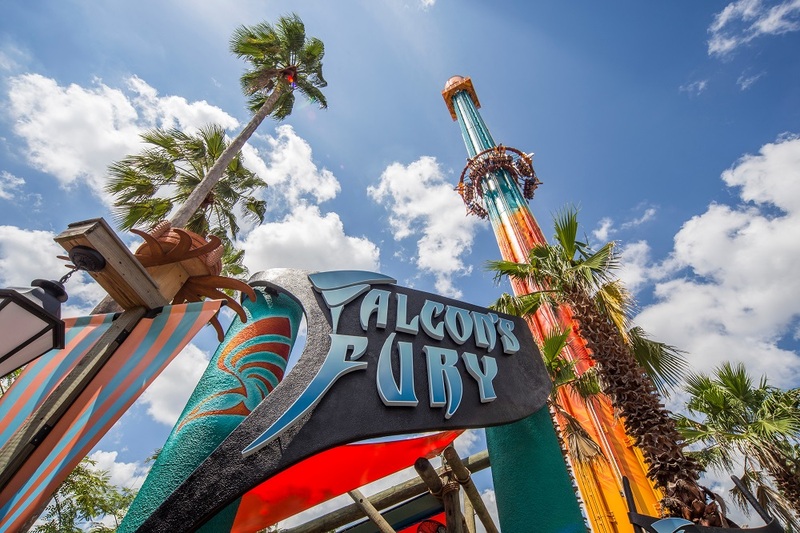 Falcon’s Fury stands at an impressive 335-feet and is the tallest freestanding drop tower in North America. The height isn’t the only terrifying thing about this ride though. Once you reach the top, your seat will pivot 90-degrees so that you're staring straight down at the ground! You’ll be held here for a few seconds (aka what feels like eternity!) before racing back down to the ground at 60mph. We think that this thrilling coaster is one of the best in Orlando because it’s exciting, terrifying (in a good way!) and totally unique. Each seat has its own speakers and you’ll be able to choose a song that only you can hear as you speed around the track. Prepare to climb towards the sky at a 90-degree angle before an exhilarating drop sends you racing around the roller coaster at 65mph. Don’t underestimate this indoor ride, as it’s just as scary as some of Orlando’s biggest coasters. This is considered one of the best rides in Orlando because guests absolutely love it. You’ll experience the ride in total darkness, never quite knowing what (or who) is around the corner. Expect to battle swarms of insects, warrior mummies and scorching flames as you try to evade the evil Mummy Imhotep. The Wizarding World of Harry Potter is a must visit for anyone going to Orlando. It doesn’t matter if you’ve never read the books or haven’t seen a single movie (where have you been?!) you’ll still be able to enjoy the magic. 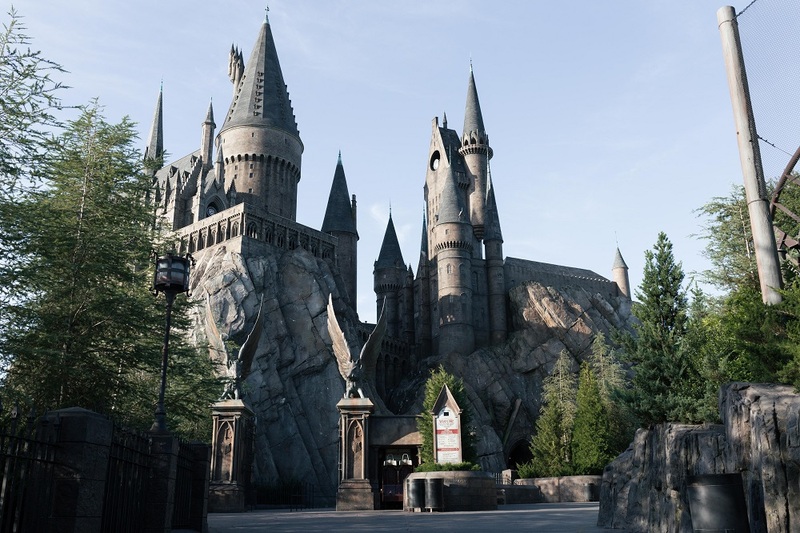 The wizarding world is so popular with guests that we had to include another Harry Potter ride on our list- they really are some of the best rides in Orlando! Harry Potter and the Forbidden Journey lets you walk through the famous Hogwarts Castle getting a sneak peek into the classrooms and Dumbledore’s office along the way. You’ll then embark on an amazing journey where you’ll fly over the castle grounds, come face to face with magical creatures and have a near miss with the fierce Whomping Willow. 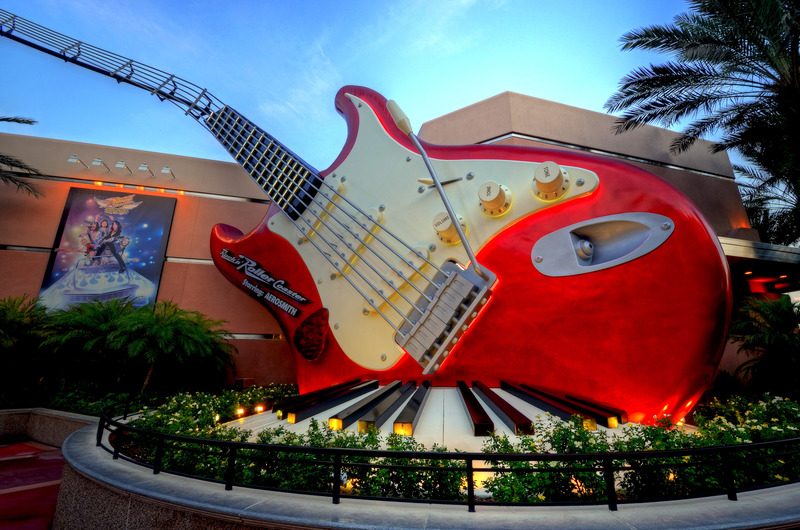 Rock ‘n’ Roller Coaster is another one of Disney’s most famous rides and it also happens to be one of our favourites. The ride starts when you come across Aerosmith rehearsing in the studio. The band invites you to their concert, but it will be a race against time to get there. That’s when you climb into a super-stretch limo and race off into the night. You’ll have to face 3 inversions, 2 rollover loops and 1 corkscrew, but our favourite part has to be the amazing launch right at the start of the ride- you’ll go from 0-60mph in less than 3 seconds! Summit Plummet is one of the best water rides in Orlando and the most extreme water slide at Disney’s Blizzard Beach. Take a deep breath and prepare to slide down a 120-foot ‘ski slope’ at incredible speed. You’ll plunge 12 storeys and race through a dark tunnel along the way. Make sure you check the digital stop clock at the end, to see just how fast you went. This is one of our favourite rides at Walt Disney World because it’s unlike any other. You’ll climb aboard a huge safari truck, before embarking on an exciting adventure across the Harambe Wildlife Reserve. Look out for lions, crocodiles, elephants, rhinos, giraffes, zebras and much more along the way. Kilimanjaro Safaris is great for the whole family to enjoy together and is sure to be a hit with the little ones. 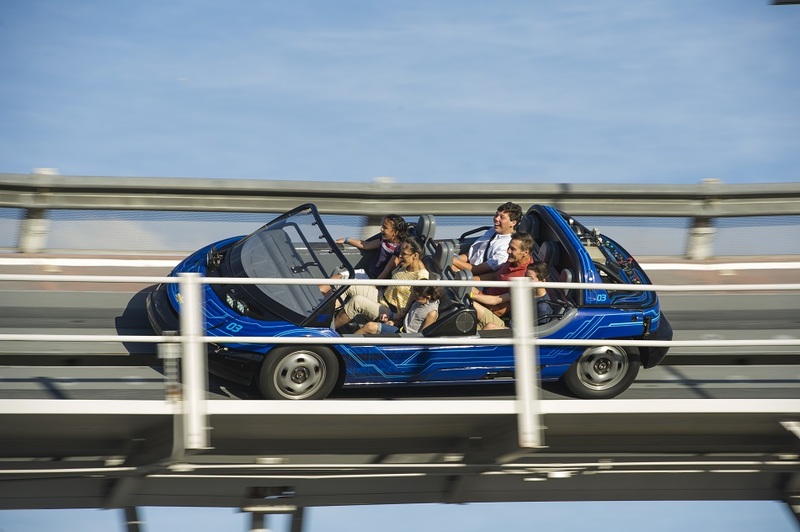 Did you know, that Test Track is the fastest ride at Walt Disney World? That’s right, this fantastic thrill ride reaches speeds of up to 65mph! You’ll start by designing your very own vehicle, before climbing aboard to test the new model out. Your heart will be racing as you zoom around the track at top speed. This is one of Epcot’s most popular rides, so if you want to see what all the fuss is about, make sure you try it out for yourself. Prepare for a serious soaking as this ride uses 1.5-million gallons of water. 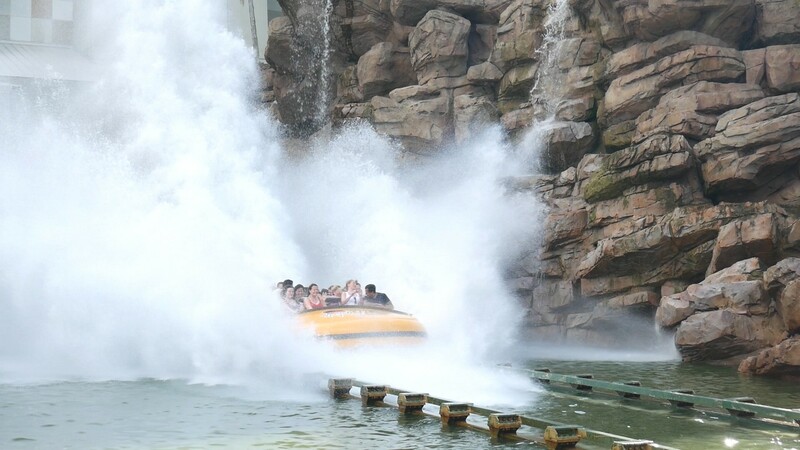 Don’t be fooled by the relaxing nature of this boat ride because it won’t be long before you’re screaming and that’s not just because of the huge T-rex staring you in the face. When you take a wrong turn into the restricted area, you’ll find yourself in total darkness before facing an epic 85-foot drop into the water below! Soarin’ has been a popular Disney ride for almost 15 years now, giving riders the incredible chance to experience what it feels like to fly. In 2016, Soarin’ reopened after receiving an exciting new makeover. 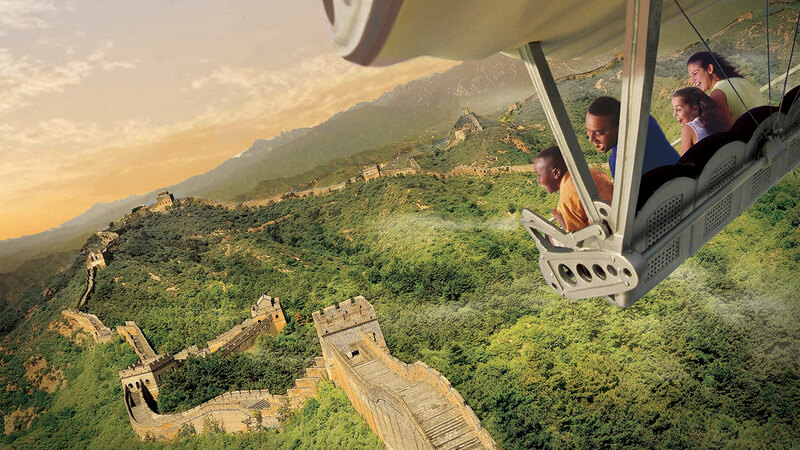 The all-new Soarin’ Around the World is an even better version of the ride you know and love. Instead of just flying over Florida, the new ride lets you fly all around the world, passing iconic landmarks like the Great Wall of China, the Sydney Opera House and Iguazu Falls. This is a ride that the whole family are sure to love. Ready to start planning your theme park holiday? 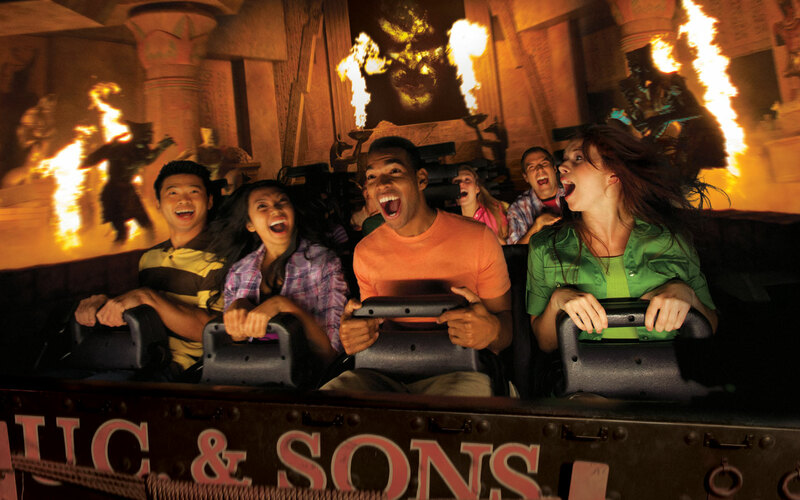 Click here, to view our full range of Orlando attraction tickets.